Josh Brolin, Morena Baccarin, Ryan Reynolds et al. DVD: 113 min., Blu-ray: 128 min., 4K Blu-ray: 128 min. American action thriller in which Ryan Reynolds reprises his role as alternative superhero Wade Wilson, AKA Deadpool. When a mysterious young boy with incredible powers captures the attention of the ruthless time-travelling mutant Cable (Josh Brolin), Deadpool must acquire a group of fellow rebels with incredible abilities to stop Cable in his path of destruction and save the boy. (3) of (8) members found this review helpful. The first one was quite fun but this is terrible. Bad jokes and no proper plot. 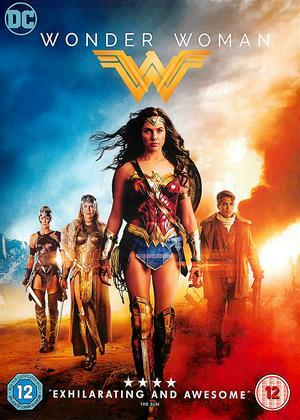 If you like superhero movies i would look elsewhere as there are plenty of them to choose from which are better then this film. Other reviewers must have been watching a different film. Unusually in the Marvel universe, this is better than the original. 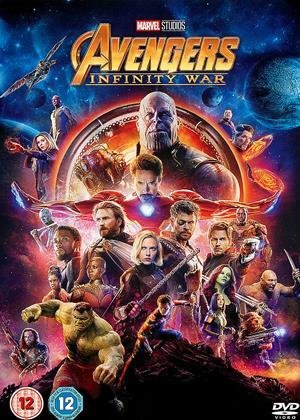 A Marvel film with layers of drama and real heart. There’s a plot that actually engages, there are in-jokes that are actually amusing and there’s mercifully much less of the Ryan Reynolds voiceover that made the original so annoying. Josh Brolin, meanwhile, adds some much-needed depth as a Terminator-type baddie from the future who is worthy of a darker film. Who’d have thought? Typical in-joke: when the plot takes an easy way out of a hole, Reynolds’ quips ‘That’s just lazy writing.’ When the film is about to lurch into a typical Marvel cgi borefest, he warns us: ‘There’s a big cgi fight coming up.’ His X-Force team of hopeless misfits is a riot and features a micro-second appearance of Brad Pitt as the Invisible Man. And the best superpower ever? Luck. Perhaps this kind of self-denigration is what has put some Marvelheads off. I wasn't a big fan of the first Deadpool movie so only watched this because it was next on my list out of the newer releases but I think i enjoyed it much more than the first . It's pretty much the same thing but somehow wittier and has less Forced Humor than the first which just felt irritating. Entertaining ,Funny and Action Packed. a good afternoons watch . Not as good as the first unfortunately. It wasn’t as funny, it didn’t have as good a storyline and the novelty factor of the first film started to wear a little thin. The first 15 mins and the last 25 mins were pretty good action wise but would only score this a 2.5. It’s watchable but nothing more than that! The strength of Dead Pool was Ryan Reynolds and Dead Pool 2 is no different. Certainly, it is already hard to imagine another actor owning the role so well already. The first film set up the tone and showed fans of the comic-book they were in safe hands. 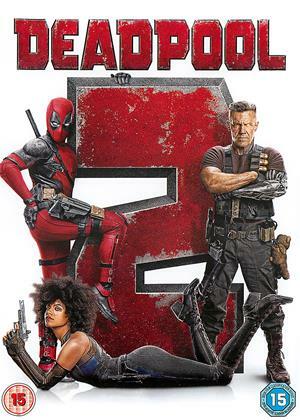 Dead Pool 2 tries to add a small amount of character and emotion to what could be a one dimensional and tiring character without losing the formulae that worked so well the first time around. I would have to say that in general, it worked. Fourth walls were destroyed, comic-book culture kicked around with no reverence shown and ultra-violence was peppered gorily throughout. The main villain played straight-faced by the reliable Josh Brolin is given more motivation and even pathos than in some more poe-faced films. Likewise, Reynolds Dead Pool is shown in the same light and even vulnerable although this does sideline Morena Baccarin for the majority of the running time. TJ Muller and Karan Soni also give way so Hunt for the Wilder People’s Julian Dennison can be thrust-forward as Firefist. I was not entirely convinced by this character or all of the acting on display but if this was a stumbling point it was only a slight trip. Special mentions must go to the Zazie Beetz as Domino who had easily the coolest superpower I’ve seen to date which was only out-cooled by her hair and to the cameo of hilariousness that was Rob Delaney. The story zipped along at a fast pace was fun and everyone played their part. The special effects were special without being overpowering, the peril, perilous and comic fun, well comically funny. Whether Dead Pool is strong enough to carry over for a third installment without getting stale or too repetitive is questionable but certainly the first two dips into this world, in what is a very overcrowded market, have stood up strongly against the opposition. First film was quite unusual and fun. This one is still a bit unusual, but panders to the multi super hero ridiculous powers folk. Way too many silly people in same film. Ryan is sufficient, does not need watering down with X men et al. Iron Man and Batman and Thor probably in next one! 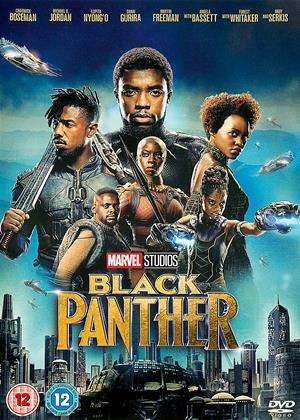 After an amusing start with the first film, the sequel has slipped into less interesting and certainly a more darker tone, which concerns violence towards children, abuse themes and the usual pathetic social justice warrior agenda driven drivel which has blighted Marvel over the past few years. It's an utter disgrace that this has been allowed to happen, even in terms of Deadpool's decidedly more adult themes, this rubbish is unacceptable. Do yourself a favour...give it a miss. I enjoyed the first Deadpool, but this one is not funny, and the story is weak. Special effects are not that great and all the acting is merely average. Let’s all hope they do not bother with number 3. Surprised that general reviews have been positive, while I laughed my socks off at the first one ,this one left me cold. It just wasn't very funny. Agree with earlier reviewers on here, not recommended. I really enjoyed the 1st Deadpool - this one however is awful - like others have quite rightly said, dont bother! I quite enjoyed this, but didn't laugh as much as at the first film. Maybe that's because you know what to expect the second time. I love Reynolds in everything he does, and Deadpool certainly suits his zany, talkative character. Recommended. 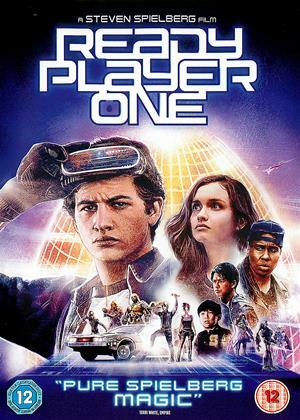 Whoever made this film needs to seriously take a long hard look in the mirror and understand that childish drivel, bad taste and gross action do not a good movie make! I really should have listened to what everyone else on here is saying, this really is a bad film in every way! For me, mixing characters from different world and universes simply does not work. In this case Deadpool teams up with the Terminator and X-Men, why isn't explained, given that they are all form different times and universes! 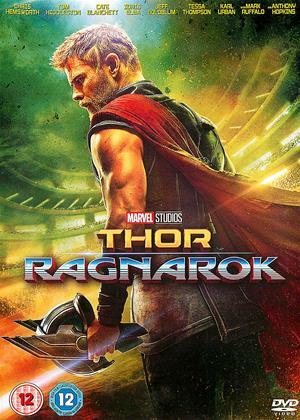 What follows is a real mess, sloppy direction, really bad choppy editing, lots of poor CGI, err I would;t call them jokes because they are not funny, lots of references to irrelevant things and probably the worst non script I've ever heard! The first Deadpool film was great and really funny, but this is just lame, it all comes across as though a couple of 12 year olds in school wrote it and then made it from a few bits of cardboard, glue and sticky tape! I rather enjoyed this, in fact preferring it to the first one in many ways. The humour is good and it keeps going all the way to the end. There's loads of action and the self depreciating and sarcastic way it is done makes this a fun watch. I thought the "Lucky" character was an inspired idea. Don't miss the extra clips after the credits. Witty, daft and just plain silly. Just like the first one really. Did you like the first one? You will like the second I would have thought. Entertaining and action packed; get beer, get popcorn, snuggle down and allow yourself to be entertained. There’s a lot of pressure on such a game-changer as Deadpool coming back stronger for a sequel. The first film was such a surprise as both a savagely R-rated satire on the superhero cinema and a financial success for being R-rated. What does the sequel serve up? Unfortunately, it’s leftover night at the Deadpool compound, reheating the same old antics we’ve seen before. That’s the bad news. The good news is that it’s still a tasty treat of a retreat from the usual superhero affairs, minus the originality. The film begins with Deadpool realizing he needs to raise the steaks after Wolverine stole the R-rated thunder with the Oscar-nominated Logan. Two can play at that came, he figures, as the story goes about stirring the pathos pot. With a dead girlfriend, he now seeks a means of revenge and finding a purpose. It’s an unlikely path for Wade “Deadpool” Wilson (Ryan Reynolds) to pursue, but he needs a bit of a kick in the pants to get himself going on another action bonanza. It’s amazing how Reynolds plays up Deadpool with the same level of self-awareness for the silliness of superheroes and overlooks one of the most blatant criticisms of these sequels; the overstuffing of characters. Deadpool is teamed up with the time-traveling mercenary of Cable (Josh Brolin) to prevent the futuristic destruction of the world. That’s enough of a plot right there to give Deadpool someone to stick by as the straight man but there are too many other characters thrown into the mix. He additionally teams up with Domino (Zazie Beetz), a superhero with the power of luck and plot armor. Then there’s the fire-based anti-hero Firefist (Julian Dennison), a kid who may or may bring about Armageddon. Then there are other mutants he teams up. Also, Colossus and Nega return in smaller roles. Also, the prequel X-Men are there. This script doesn’t exactly offer new jokes as much as expanded ones. Remember how Wade commented on how the Xavier school of gifted mutants seems to have so few mutants? He makes the same joke as a few familiar faces hide behind closed doors from the anti-hero. Not a bad bit but one would think there’d be a better punchline. Something more biting, more scathing. Deadpool seems to be losing that touch as he mostly backs off from the swarm of characters crowding around him, though he still has his moments when hiring on a powerless fat guy for his superhero squad. Deadpool 2 doesn’t reinvent itself, but it still finds the last few drops of humor worth milking from the previous film. One of the strongest bits finds Ryan Reynolds giving a big middle finger to the film’s timeline, Fox’s X-Men movies, and his very career. But in all the meta humor madness I think the film forgets itself, save for one brief moment where Reynolds looks into the camera during an explanation of time travel and remarks that’s just sloppy writing. Perhaps Deadpool 3 will be mindful enough not to repeat itself; you can only make fun of yourself so many times before the bit isn’t funny and that day could come with a trilogy capper.